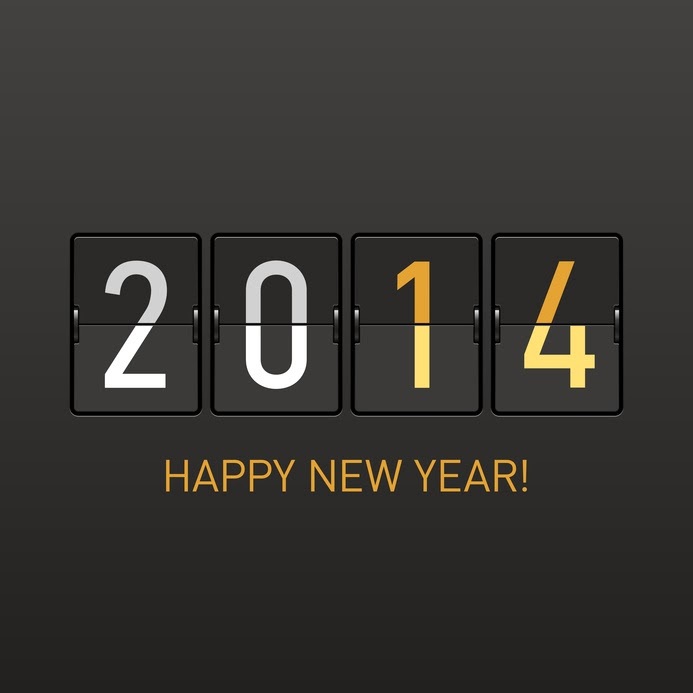 Amver wishes everyone a safe and happy 2014! The Russian research vessel Akademik Shokalskiy remains beset in ice with 74 passengers near Antarctica. Despite multiple rescue attempts by the Amver vessels Xue Long and Aurora Australis, neither vessel can safely make their way through the thick ice. According to a release by the Australian Maritime Safety Authority, the Aurora Australis was at risk of becoming beset by ice if it continued to make rescue attempts. Preparations are now being made to airlift the passengers off the Akademik Shokalskiy by helicopter to the Chinese ice breaker and ferry them to the Aurora Australis by barge. According to the latest update, weather conditions were not suitable for an immediate airlift, but passengers were preparing a landing zone. Professor Chris Turney, expedition leader, continues to provide updates via Twitter. Amver vessels play a critical role in rescuing people at sea. This case is another example of the right ship, in the right place, can make the difference between life and death. We applaud the efforts of our international search and rescue partners. 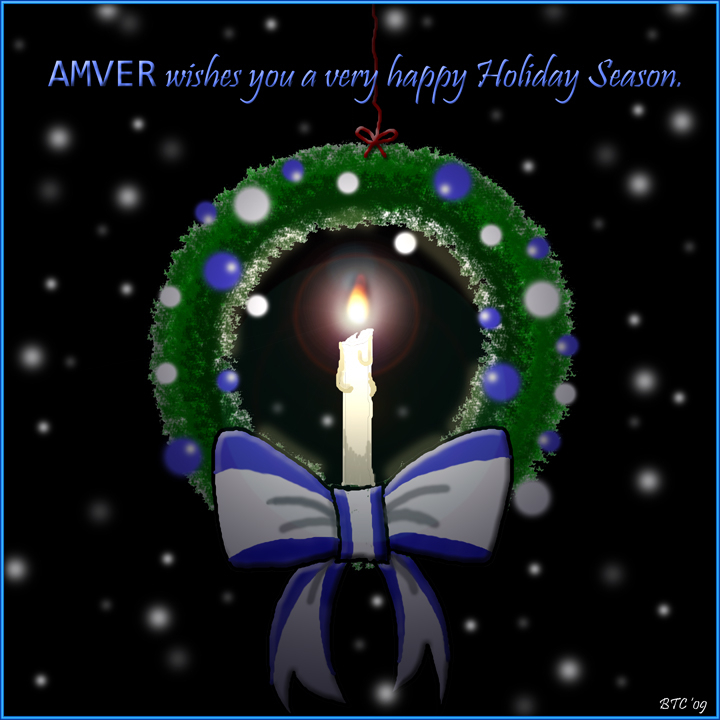 You can learn more about the Amver program here. The Australian Maritime Safety Authority is sending three Amver participating vessels to assist the Russian passenger vessel Akademik Shokalskiy which is beset in ice near Antarctica, approximately 1,500 nautical miles south of Hobart. 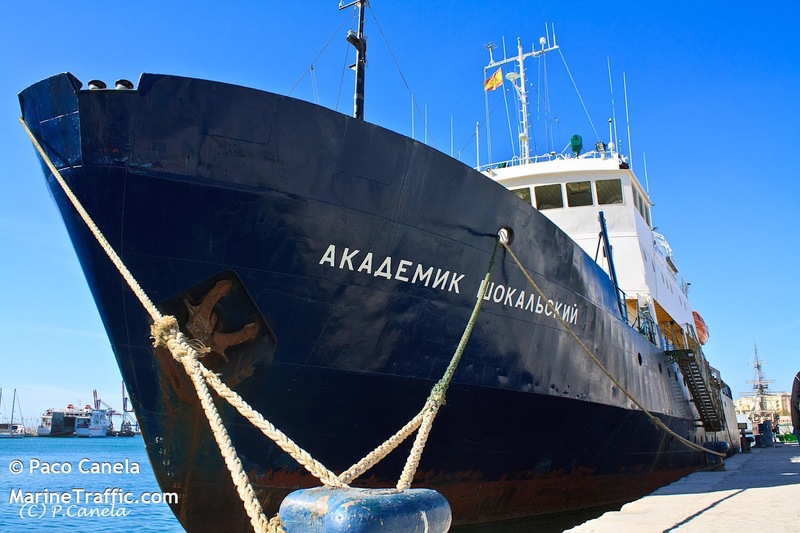 Rescue authorities in Australia were notified early Christmas morning after the rescue center in Falmouth, United Kingdom received the Akademik Shokalskiy's distress message and relayed it to Australia. 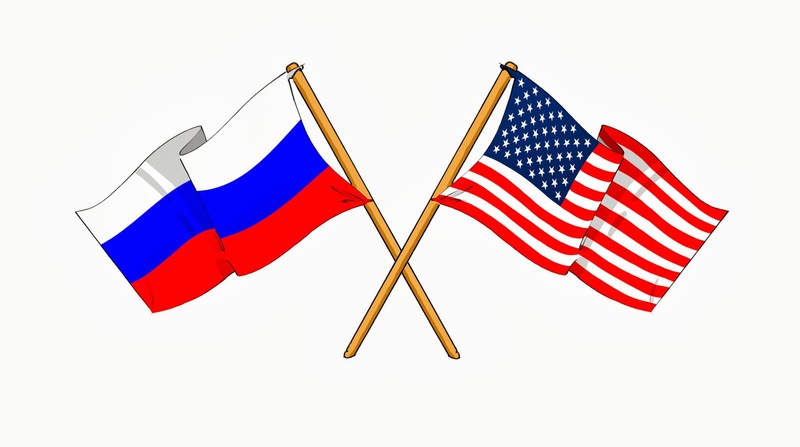 The 74 people aboard the 233 foot Russian flagged ship, which also is enrolled part of the Amver system, are reported to be in good health and some are tweeting about their adventures. Professor Chris Turney, leader of the expedition, posted a short video about the situation. Australian rescue authorities have diverted the vessels L'Astrolable, Xue Long, and the Australian Antarctic Division vessel Aurora Australis. The vessels should arrive on the scene within two days. If you're curious about the Amver system and how we save lives at sea you can learn more about Amver here. We'll keep posting updates as we learn them. Wishing everyone a very joyous holiday and Merry Christmas. Another 26 vessels have enrolled in Amver in the past week. During the holiday season it's easy to forget those at sea. Take a moment and keep seafarers in mind. Now, help us welcome the latest members of the Amver safety network. Besides meeting survivors on Amver ships, the next best thing we get to do is spend time with the crews of ships that participate in the Amver system. On Wednesday, December 11, 2013 we had the opportunity to go aboard the Marshall Island flagged container ship Mukaddes Kalkavan in New Jersey. Captain Erdem Yilmaz, and his entire Turkish crew, were very hospitable. The U.S. Coast Guard was performing a Port State Control inspection and we decided to tag along and thank the crew for their enrollment and participation in Amver. Want to know what to expect when the Coast Guard boards your ship? You can learn that by listening to this interview with a Port State Control inspector. While we were talking with the crew we learned they were having difficulty with their voluntary weather observation reporting and we contacted a NOAA Port Meteorological Officer to fix that issue. Finally, Amver Director Benjamin Strong presented an Amver coffee mug to the Captain as a token of appreciation for the crew's dedication to safety at sea. The Mukaddes Kalkavan, managed by Turkon Holdings, enrolled in Amver on November 27, 2012. Somewhere a seafarer is away from home, underway, perhaps in foul weather. That seafarer may have a spouse or child at home. That seafarer is delivering good to a far off port, ensuring commerce continues and life can go on. That seafarer may be delivering life saving medicine, food or grain to offset a famine, or relief supplies to a community devastated by storms. The seafarer might have supplies for troops in a far off land, or parts for manufacturing. Keep seafarers in your thoughts this holiday season. And help us welcome the seafarers that have made a commitment to safety at sea by enrolling in the Amver system. The Amver participating bulk carrier Maiden Voyage rescued 26 crewmen from the tanker Theresa Bitung after it caught fire while sailing from China's Zhoushan Islands to Singapore on Wednesday, November 27, 2013. According to reports from the Maiden Voyage, they were only 22 miles away from the tanker when they heard the distress call. Maiden Voyage Captain Hernesto Caluya immediately notified rescue authorities, alerted other ships in the area, and diverted the Supramax carrier to rescue the crew of the Theresa Bitung. Within an hour of the initial distress call the master of the Theresa Bitung reported the fire was out of control and the entire crew was abandoning ship. The Maiden Voyage arrived shortly thereafter and lowered a rescue boat, embarking all 26 crew members from a lifeboat and two rafts. Captain Caluya notified all ships in the area the crew of the Theresa Bitung were safe and had his ship continue to Hong Kong. The Marshall Island flagged Maiden Voyage, manage by Starbulk Carriers of Athens, Greece, enrolled in the Amver system on January 2, 2013 and will earn its first Amver participation award in 2014.
Who enrolled in Amver this week? Let's take a look! Keep our seafarers in mind this holiday season. They remain at sea, delivering the good we rely on every day. In the meantime, help us welcome the new additions to the Amver safety network. For mariners in the United States, Happy Thanksgiving! We should all be thankful for the amazing work done by ALL seafarers, regardless of the holiday season. Without a robust maritime community those BlueRay players, winter coats, fruits and vegetables from warmer climates, and smartphones won't make it in time for Christmas. We should also be thankful for the seafarers who make the extra commitment to safety at sea by enrolling in the Amver system. Help us welcome the latest vessels to join us. As we enter the traditional holiday season it's easy to forget the men and woman at sea. November is a dangerous time at sea with unpredictable weather and the rush to deliver goods on time. Amver enrollment remains as important as ever, even as we begin to think of shore leave, family, and the upcoming holiday season. Please consider joining our global voluntary search and rescue system. Who entolled Amver this week? Take a look! 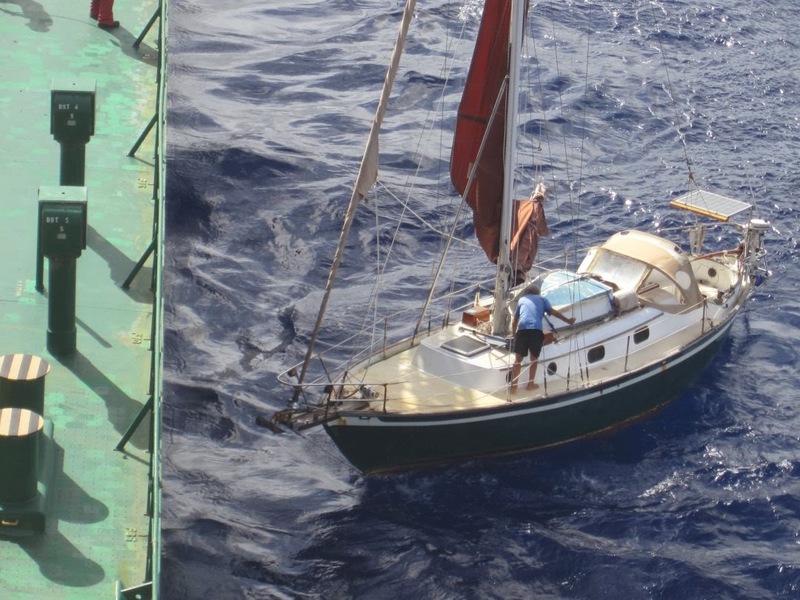 The combined efforts of a good Samaritan sailboat, a U.S. Coast Guard helicopter, and several Amver ships resulted in the rescue of a severely dehydrated 61 year old Canadian man from a sailboat 400 miles north of Puerto Rico on Monday, November 4, 2013. 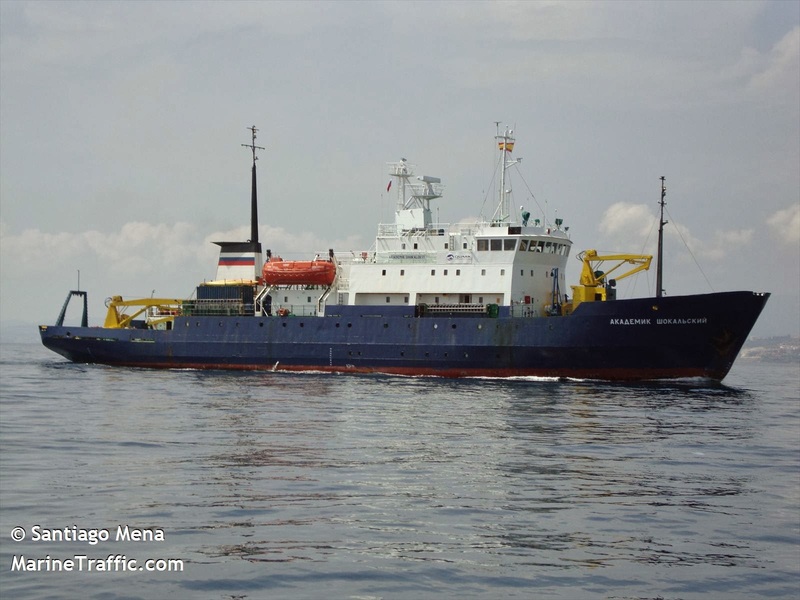 Coast Guard rescue authorities in Sector San Juan received notification from the sailing vessel Enzo, via satellite phone, on Sunday, November 3, 2013 and diverted the Amver participating reefer Chiquita Scandinavia. The Bahamian flagged ship arrived on scene and deployed a rescue boat but was unable to safely embark the yachtsman because of 3 meter waves and winds greater than 20 knots. 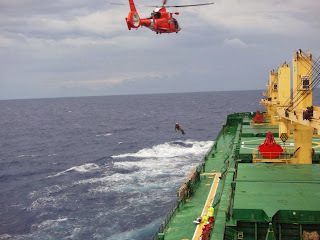 Rescue authorities also diverted the Coast Guard Cutter Vigilant with a rescue helicopter and another Amver ship, the AS Vincentia, to assist in the rescue effort. Once the AS Vincentia was on scene the crew was able to safely bring the sailor aboard and treated him for severe dehydration. The AS Vincentia, managed by Christian F. Ahrenkiel of Hamburg, Germany, then changed course to meet the Coast Guard Air Station Borinquen helicopter. The helicopter lowered a rescue swimmer who provided initial medical care and hoisted the Canadian aboard the helicopter where he was taken to waiting EMS personnel. The sailor was later transported to Centro Medico Hospital. The Chiquita Scandinavia enrolled in the Amver system on January 1, 1992 and has earned 21 awards for participation and the AS Vincentia enrolled in Amver on December 4, 2010 and earned three awards for participation. Every week we take a moment and recognize the latest ships that enrolled in the Amver system. This week is no different. 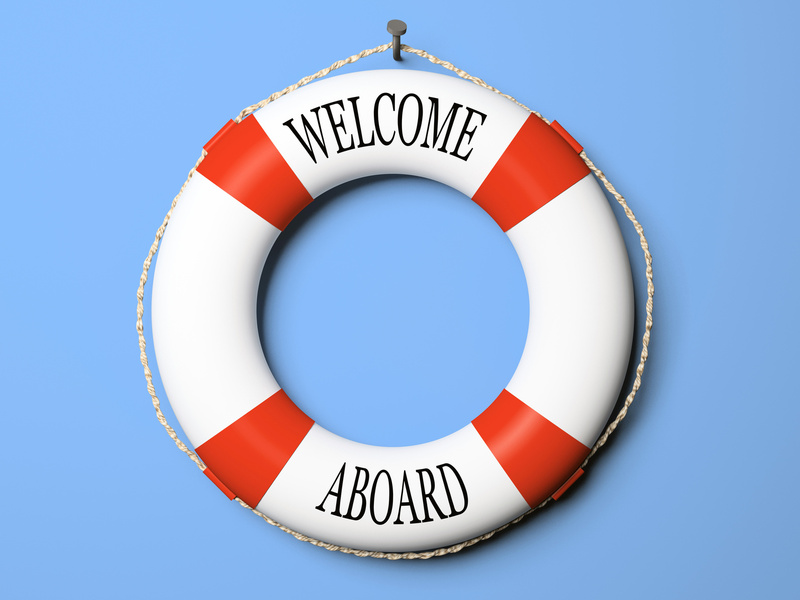 Today we welcome another 22 ships that joined the Amver safety network. A 61 year old Canadian sailor aboard a disabled sailboat 700 miles east of Cape Cod, Mass., activated his commercial emergency beacon and was rescued by an Amver ship early Tuesday morning. U.S. Coast Guard search and rescue coordinators from Boston, Mass. coordinated the rescue after they were notified at 8 a.m. Monday morning. A Coast Guard Air Station Elizabeth City, NC., HC-130 search aircraft launched and located the sailboat. The 652-foot commercial ship Bishu Highway and the Amver participating bulk carrier Athina L were also diverted to assist. The Bishu Highway arrive on the scene at approximately 2:45 p.m. Monday, and established communications with the Easy Go. The solo yachtsman reported he was uninjured, but the boat had lost its main sail and he was unable to make way. The Bishu Highway was unable to rescue the sailor due to a 50-foot height of the hull above the water, but stayed on scene until the Athina L arrived. The Athina L arrived on scene at approximately 5 a.m. Tuesday and, braving 20 foot seas and 40 knot winds, safely embarked the sailor. He was uninjured and will stay aboard the Athena L until it reaches its next port of Hunterston, U.K. The Liberian flagged Athina L, managed by the Kyla Shipping Company, enrolled in the Amver system on October 14, 2011 and has earned one Amver participation award. Photo credit: M/V Athina L.
Another week has passed and more ships have enrolled in the Amver system. We are proud to share this list with you. We hope this acknowledgement of the shipping communities commitment to safety at sea will serve as encouragement for other companies to join Amver. Now, help us welcome the latest members of the Amver safety network. On September 30, U.S. Charge d'Affaires John Dinkelman and Lieutenant Commander Doug Jannusch, the U.S. Coast Guard Liaison Officer to The Bahamas and the Turks and Caicos Islands, officially recognized award winning Bahamian flagged vessels and their companies for their strong participation in the Amver system. Attended by representatives of registered companies and government ministries, the award ceremony also provided an opportunity to redouble vigilance regarding search and rescue, recreational boater safety, and aids to navigation. Three companies were recognized during this year's ceremony held at the U.S. Embassy. Bahamas Ferries Limited, Campbell Shipping Company Limited and Clipper Group. Congratulations and thank you to these companies for a job well done! Now that the Federal shutdown has ended we're please to bring you the weekly update of what vessels have enrolled in the Amver system. Since we last posted in September over 100 ships have joined! Help us welcome them. For Amver participants and mariners who want to know the status of the U.S. Coast Guard National Maritime Center this is from CAPT Jeffrey Novotny, NMC Commanding Officer. Maintain the Customer Service Call Center. 888-IASKNMC will be open and monitored from 0800 until 2000 hours Eastern Time Monday through Friday. Regional Exam Center and NMC phones will not be monitored. Maintain the website. We will attempt to keep the industry up to date on our status via the website. Regional Exam Centers will be closed. Exam appointments will be cancelled and must be rescheduled after the shutdown is lifted. On-line scheduling will be disabled. Appointments to drop off applications will be cancelled and must be rescheduled after the shutdown is lifted. On-line scheduling will be disabled. There will be no walk-ins. Applications may continue to be mailed or emailed and will be processed when the shutdown is lifted. The NMC recognizes the shutdown will have an impact on the maritime industry. We will do whatever we can to minimize the impact and recovery as quickly as possible once the shutdown is lifted. While the lapse in appropriations continues and the U.S. Government remains closed, the Amver office is open with limited operations. Vessels and crews may still enroll in the Amver system and Amver reports will still be received and processed. Rescue coordination centers can still request Amver Surface Picture information to manage search and rescue cases. The Amver system remains operational during this temporary lack of funding. Due to a lack of funding this blog will not be maintained and the Amver office staff are unavailable. Vessels and crews may still enroll in the Amver system and Amver reports will still be received and processed. Our social media sites will not be updated. The Amver system will remain operational during this temporary lack of funding. We appreciate the support and dedication of the world's seafarers and look forward to serving you again soon. We're in Russia attending NEVA 2013 in Saint Petersburg. We're here to share the Amver story and to present Amver awards to participants from the Russian Federation. While we're here, we also want to be sure to recognize the latest members of the Amver family. Here are the latest ships to enroll in the system. The Amver team will be exhibiting at NEVA 2013 in Saint Petersburg, Russia next week in booth 712. 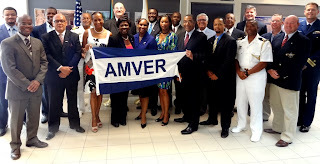 The Amver team will be available to answer questions and help you enroll your ships. We are also hosting an Amver awards ceremony to recognize Amver participants from the Russian Federation. We look forward to seeing you at NEVA 2013! Команда Amver будет участвовать в выставке НЕВА 2013 в Санкт-Петербурге, Россия на следующей неделе на стенде 712. Команда Amver будет готов ответить на вопросы и помочь вам записать вашего суда. Мы также хостинг церемонии Amver премий в знак признания Amver участников из России. Мы с нетерпением ждем встречи с вами на НЕВА 2013! 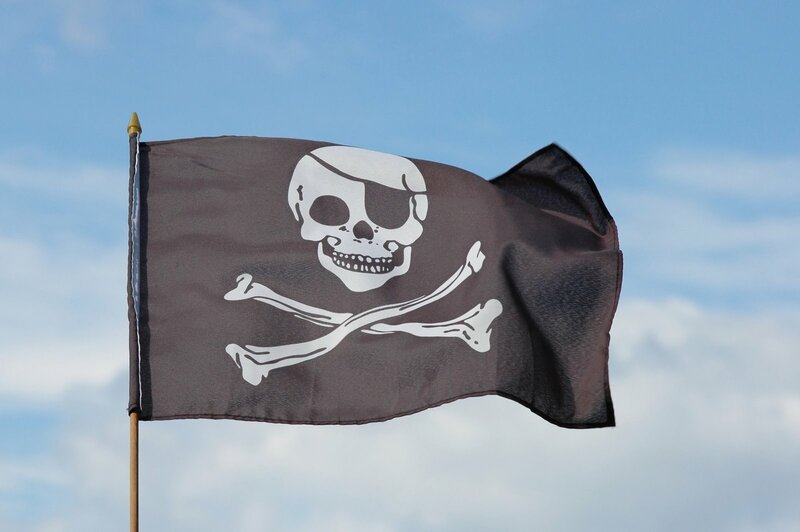 Today is international Talk Like a Pirate Day! So avast me hearties, shiver your timbers and perch a parrot on your shoulder. But while you say Arrrr and wear an eye patch keep, this in mind- Piracy is still a serious scourge on the maritime sector and a danger to Amver participants. The human cost of piracy are even greater. So while it may be fun to talk like a pirate today, keep in mind the terrible cost real piracy costs each of us. It's that time of the week. Time to recognize the latest members of the Amver system. Ships join Amver for a variety of reasons. You can be part of the world's voluntary search and rescue system, enrolling is easy. In the meantime, help us welcome our latest participants. While we thank the thousands of seafarers who enroll in Amver each week, we also reflect on how the world changed 12 years ago. Take time to reflect, on both the world we live in today and the incredible contribution mariners make. Thank you. It may be a slow news week for Amver but that's not a bad thing. If we're not writing lots of stories, it means people aren't in distress at sea. Thankfully we continue to have an interest in enrolling in Amver and today we welcome another 27 ships. Should an emergency develop at sea, there are thousands of vessels available to render assistance. Help us welcome the latest ships to enroll in Amver. Did you miss us last week? We were on the road in the Barents Sea touring the Prirazlomnoye oil platform . But, here is the list of the vessels that enrolled in Amver in the past two weeks. Our trip to the Arctic reinforced our position that the Arctic is a lonely and potentially dangerous place with limited search and rescue resources. Those lack of resources is the very reason we need more ships to enroll in Amver and actively report while sailing in Arctic waters. In the meantime help us welcome the latest members of the Amver family. It's the who's who of Amver. Our latest installment of vessels that have enrolled in the Amver safety network. Not sure if your ships are enrolled? Just send us an email and we can check for you. In the meantime help us welcome the latest members. Who joined Amver in the past week? An additional 73 ships enrolled in the past two weeks. We're thankful for the companies that recognize the importance of coordinated rescue activities and safety at sea. Here's the list of the latest members of the Amver family. The Amver participating cruise ship Statendam assisted in the rescue of 102 sightseers from a disabled tour boat near John Hopkins Glacier, Alaska on Friday, August 2, 2013. The sightseeing boat Baranof Wind suffered mechanical problems and alerted rescue authorities of their situation. 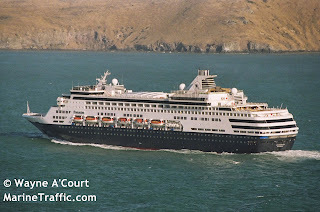 The Statendam, an Amver participant since 1993, diverted to the location and used its tenders to embark all of the tourists. 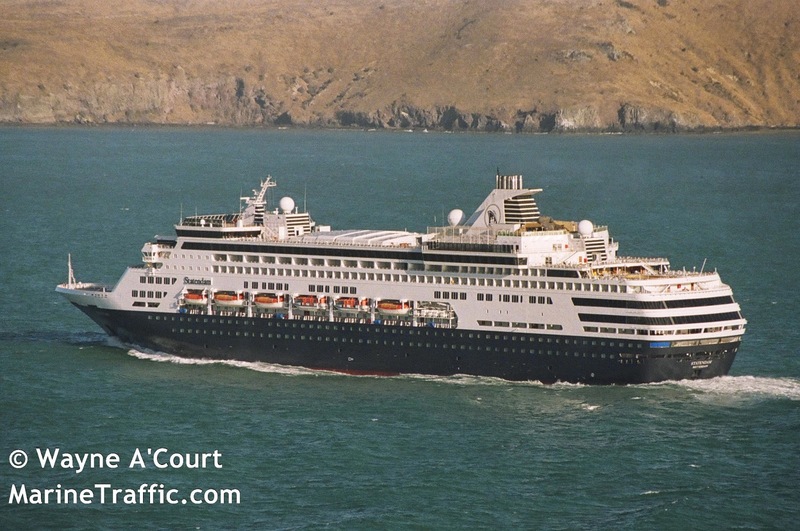 The Statendam brought the tourists to Bartlett Cove and resumed its scheduled voyage. The cruise ship Statendam, managed by Holland America Line, has earned 17 Amver awards for participation. Getting old never felt so good! On the heels of our 55th birthday we're happy to announce the latest ships to enroll in the Amver system. It's everyone of you that keep us going. Thank you! Now, the newest members of the Amver system. Ever wonder where your Amver messages actually go? 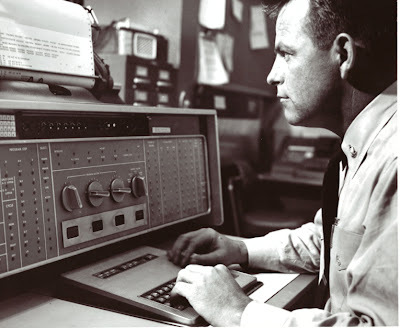 They go to the staff at the U.S. Coast Guard Operations Systems Center (OSC) in Martinsburg, West Virginia. 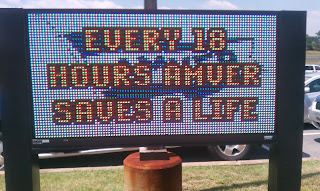 The OSC billboard proudly displays Amver's accomplishment of saving a life every 18 hours! But those lives wouldn't be saved if not for the contribution of the men and women at the OSC. Thank you OSC Amver team! Today is our birthday. Amver is 55 years old and we're happy to have been in the life saving business since 1958. Amver has saved countless lives, enrolled thousands of ships, and provided a voluntary blanket of protection over the world's oceans. We couldn't have done it without the dedication of the seafarers and rescue professionals around the world. What's your motivation? Why did you join Amver? Most companies recognize and honor the traditions of the sea. They know it could be them next. They understand the value of a human life. If you haven't joined Amver, if you think reporting would be an extra burden on your already taxed crew we urge you to reconsider. Now, help us welcome the latest members of the Amver family. 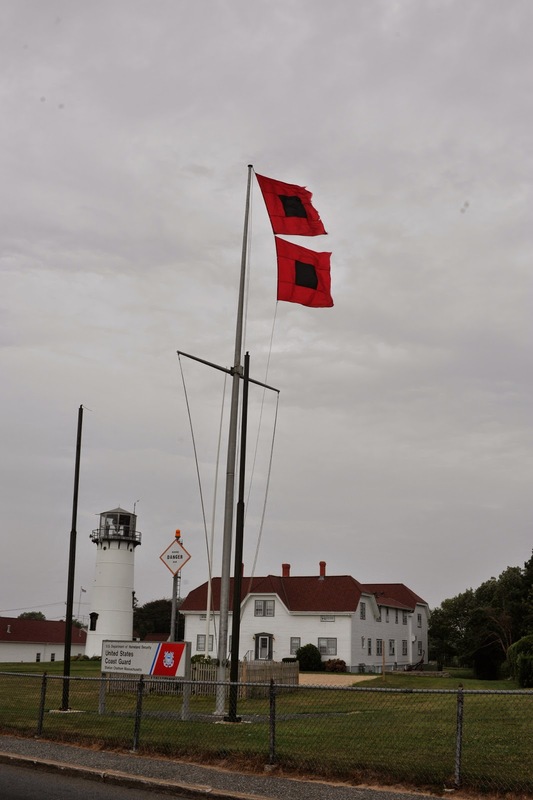 Hurricane season makes it a great time to review the United States Coast Guard port conditions that are issued when tropical weather affects a particular port. Amver participants, and other mariners, should pay close attention to Marine Safety Information Broadcasts (MSIB) for updates. Hurricane season begins June 1st. All vessel owners and operators should review hurricane plans and checklists. Recommend reviewing the Industry Hurricane Plan (link to Word document). The Captain of the Port will issue radio broadcasts and Marine Safety Information Broadcasts (MSIB) as needed to keep mariners informed. 30 additional vessels have enrolled in Amver in the past week. We hope you have made the choice to join Amver and join the legions of ships that assist in search and rescue at sea. The sea remains a dangerous place and your participation ensures no call for help goes unanswered. You could be called to help. You may have a tight port call. You may have a crew swapping out. If you have your ship enrolled in Amver the likelihood you'll be asked to divert on a call is based on your location and suitability to provide the best chance of rescuing the person in distress. In other words, you won't be sent out on a goose chase. What ships have committed to a coordinated response to distress at sea? Take a look. 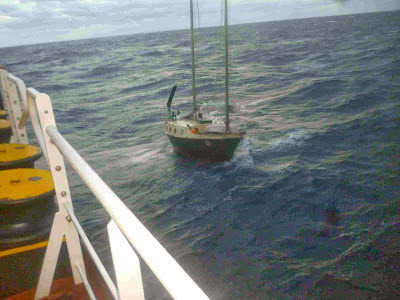 One month after enrolling in the Amver program, the cruise ship Norwegian Breakaway was called upon to assist a 27 foot sailboat adrift near New York City. 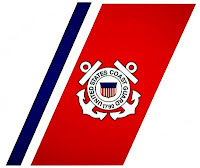 On Sunday, June 16, 2013 U.S. Coast Guard rescue authorities in New York City received a distress call from a 27 foot pleasure craft in the Jones, Inlet. The boat had four people on board and was dead in the water.The crew was unable to drop an anchor and the crew was requesting Coast Guard assistance. 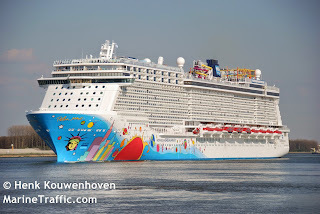 Rescue personnel at U.S. Coast Guard Sector New York located the Norwegian Breakaway near the last known position of the small craft and asked the sailors to launch a flare. The crew of the Norwegian Breakaway saw the flare and sailed to the position of the disabled vessel. 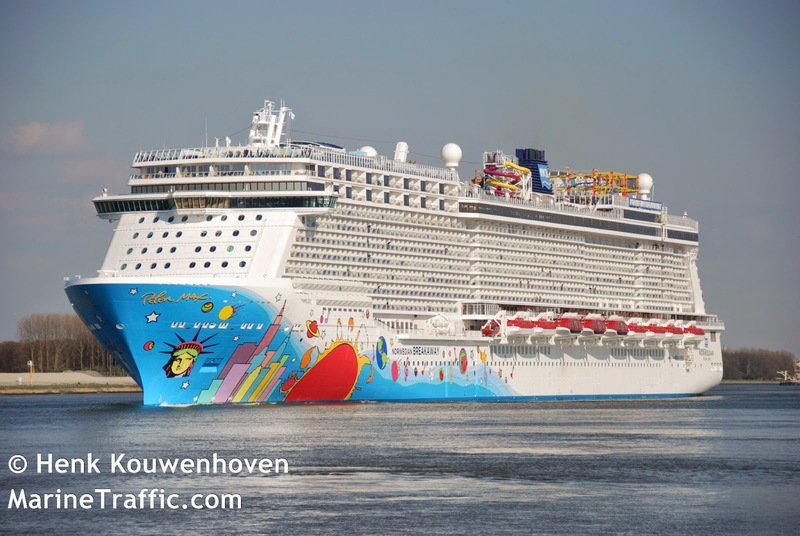 Norwegian Breakaway gave the Coast Guard the exact coordinates of the disabled boat and, once additional rescue resources were on the way, sailed on to its destination. The Coast Guard sent a helicopter from Air Station Atlantic City using the coordinates provided by the cruise ship and found the disabled boat. A 47 foot response boat from Coast Guard Station Sandy Hook then located the disabled boat and towed it to shore. The Bahamian flagged cruise ship, managed by Norwegian Cruise Lines, enrolled in Amver on May 9, 2013. This is its first call to action. Four sailors were rescued by an Amver participating container ship after their 46 foot sailboat became demasted and the engine was fouled approximately 129 miles south east of Bermuda on June 14, 2013. The crew of the sailboat activated their Emergency Position Indicating Radio Beacon (EPIRB) alerting Bermuda rescue authorities. 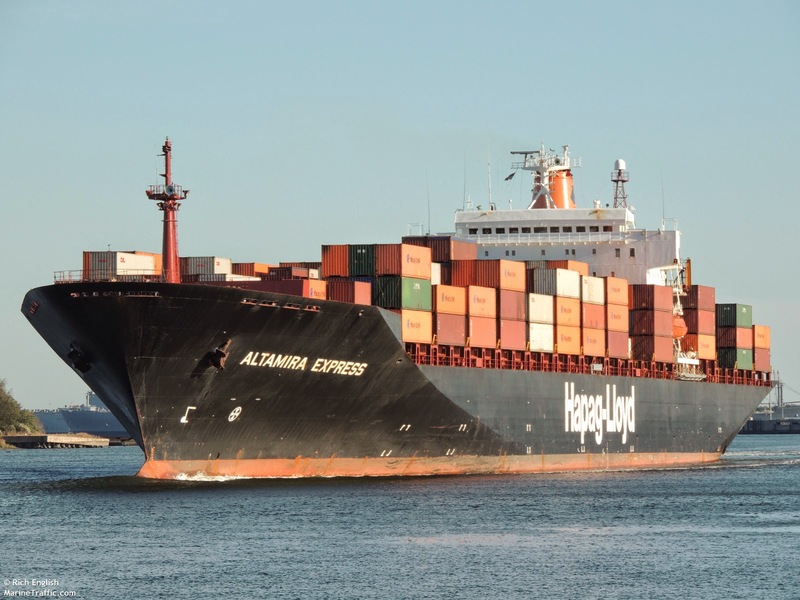 Bermuda rescue personnel also contacted U.S. Coast Guard personnel in Portsmouth, Va. who queried the Amver system and located the 885 foot container ship Altamira Express and requested the ship divert to assist the sailboat. The Bermuda flagged ship was only 12 miles from the distress location. The Altamira Express contacted U.S. Coast Guard rescue authorities that the crew had rescued all four yachtsmen in good health and disembarked them in Cagliari, Italy on June 24, 2013. 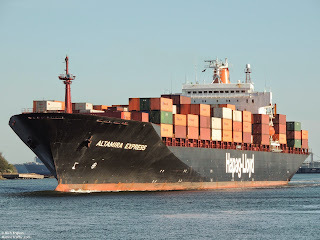 The Altamira Express, managed by Hapag-Lloyd AG of Hamburg, Germany, enrolled in Amver on January 1, 1988 and earned 12 Amver participation awards. A wild week in world of shipping. The MOL Comfort broke in two, resulting in a search and rescue case that saved all 26 crew. The ship that rescued the Comfort crew was an Amver participant. You could be part of the largest voluntary life saving organization as well by enrolling in Amver today. Three French sailors were rescued by an Amver participating tanker after they decided to abandon their 33 foot sailboat over 1,000 miles off the Massachusetts coast on Tuesday, June 11, 2013. U.S. Coast Guard rescue personnel in Boston received a call from the French Mission Control Center about three sailors aboard a 33 foot sailboat with a partially disabled rudder. Two of the sailors requested to be taken off the stricken yacht. 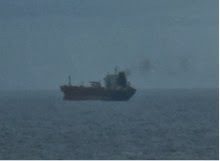 The Coast Guard, using an Amver Surface Picture (SURPIC), located the Singapore flagged oil tanker Torm Neches and requested it sail toward the distress location. The tanker was 70 miles from the last known position of the sailboat. 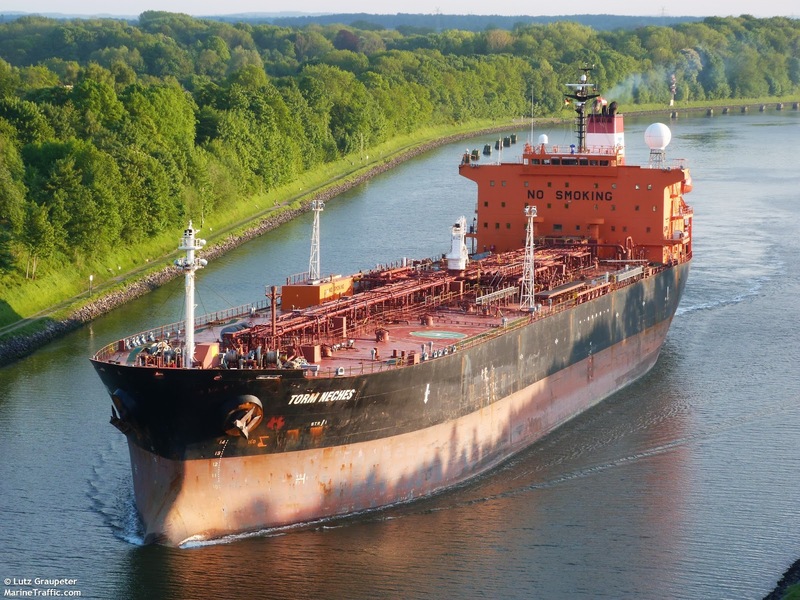 The crew of the Amver ship arrived on the scene but there was a slight communications problem, the crew of the tanker was unable to speak French. Thankfully the language of search and rescue is easy to understand and as the Torm Neches prepared to rescue the survivors, the yachtsmen donned life jackets. "Please note two survivors have come aboard my vessel in a small dingy, the third one is preparing to come aboard," stated Captain Rakesh Mehra from the bridge of the Torm Neches. The third sailor made it aboard the Amver ship. French rescue personnel notified the survivor's families of their situation. It is not know where the survivors were taken. Each week we have the honor of sharing the latest members of the Amver family. These are the latest to enroll in Amver, making it easier for rescue authorities to manage emergency incidents at sea. Will you help and join their ranks? The Amver participating reefer Dole Africa rescued a 41 year old woman suffering abdominal pains from a 31 foot sailboat in the middle of the Atlantic Ocean on Saturday, May 25, 2013. U.S. Coast Guard rescue personnel in Boston received a call from French rescue authorities in Griz Nez about the ill sailor aboard the sailboat Oanaz. The Coast Guard immediately queried the Amver system and diverted the Bahamian flagged ship to assist. The sailboat was more than 1,000 miles off the coast of Nantucket, Mass. Despite the remote location, the Amver system was able to locate the Dole Africa and divert the ship to assist. "We'll have the victim on our ship in 30 minutes," Dole Africa Captain Lukomski reported to rescue authorities when he was asked to assist. Within 40 minutes of being alerted to the emergency, the 492 foot ship was lowering a rescue boat to embark the ill sailor. 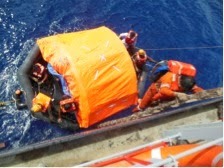 A half an hour later the sailor was safely aboard the Dole Africa and the crew was assessing her medical condition. 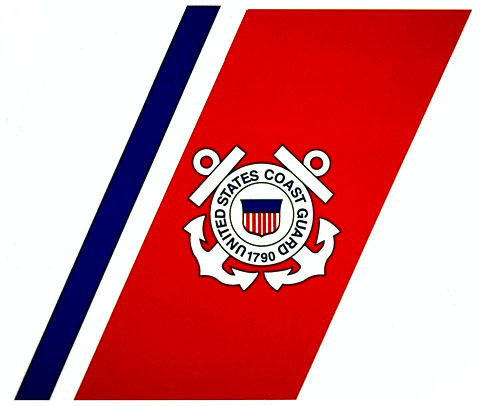 "The patient was complaining of abdominal pains and had decreased vital signs," reported Captain Lukomski to Coast Guard medical personnel in Portsmouth, Va. Based on the medical complaints of the patient, a Coast Guard flight surgeon suggested the crew monitor the patient for a possible ruptured appendix. The Dole Africa continued on its voyage to Puerto, Rico. The patient's condition improved and she was walking around the ship until she was transferred to medical personnel when the Dole Africa arrived in Puerto, Rico. 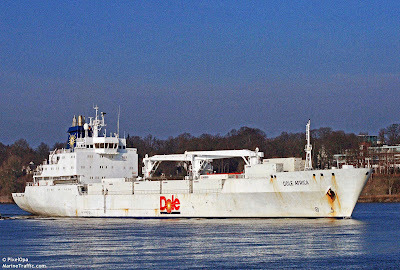 The Dole Africa, managed by Reefership Marine Services of San Jose, Costa Rica, enrolled in the Amver system on January 1, 1995 and has earned 10 Amver participation awards. Who enrolled in Amver this week? 26 more ships, one of which may be yours! If so, thank you for joining. If you haven't joined, would you consider enrolling? While you sign up, let's take a moment to recognize the newest members of the Amver safety network. What a week! We're on the road attending an Arctic Council meeting and Norshipping to present Amver awards to Norwegian ship managers. Today, though, we want to recognize the latest members of the Amver safety network. These ships enrolled to make sure no call for help goes unanswered. An Amver participating car carrier rescued 5 people from their overdue canoe as they transited from the Hall Island to Chuuk Island in the Pacific Ocean on Friday, May 24, 2013. US Coast Guard personnel at Sector Guam received a call from the University of Guam. The University relayed a radio transmission from the Hall Islands of an overdue 19 foot canoe with five people aboard. The canoe departed the island of Murillo on Sunday, May 19th and was set to arrive later that evening on Weno, Chuuk but there was no confirmation the canoe arrived. On Thursday, May 23, 2013 a US Navy C-130 spotted a 19 foot canoe with five people aboard signaling with a can reflecting in the sun. 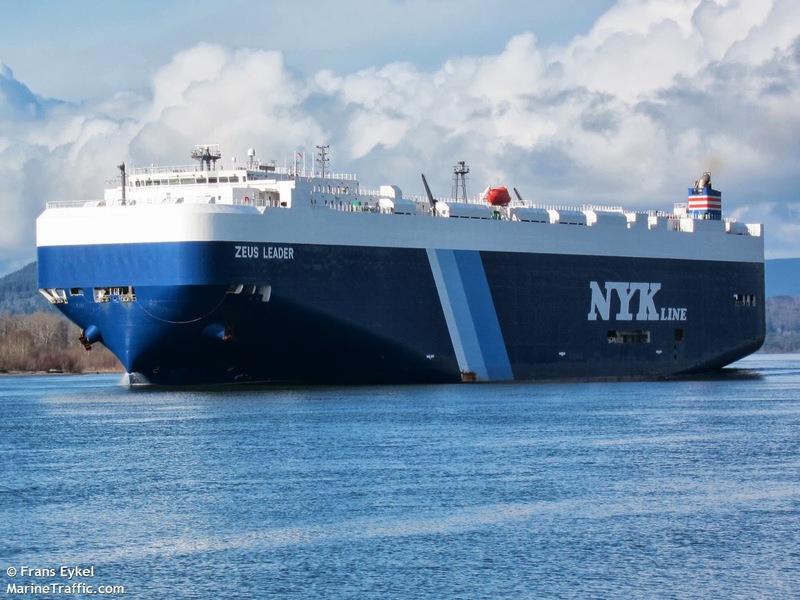 Coast Guard rescue authorities, utilizing the Amver search and rescue system, diverted the Japanese flagged car carrier Zeus Leader, to rescue the stranded sailors. The Zeus Leader was only 70 miles from the stranded canoe. Withing four hours of the notification, the 656 foot ship had safely embarked 3 adult males and two boys. The Zeus Leader met with a local Federated States of Micronesia ship, the FSS Palikir. The survivors were transferred to the Palikir and taken to Chuuk while the Zeus Leader continued on its voyage. The Zeus Leader, managed by NYK Container Lines of Japan, enrolled in Amver on August 10, 2009 and has earned three awards for participation. What's this week's magic number? 24! 24 more ships enrolled in Amver in the past week. What's the benefit to joining Amver? Well, for starters you could save a life. Secondly, you could avoid having to divert and search because your participation ensures Coast Guard rescue personnel can divert the most appropriate ship for a maritime emergency. That sort of coordination could save a shipping company thousands, even tens of thousands of dollars. So sign up now and start saving money. Now, help us welcome the latest members of the Amver safety network. If it's Wednesday you know it is time to recognize the latest members of the Amver search and rescue family. These are the latest vessels to enroll in Amver. Enrollment is easy, it can save you money (by ensuring your vessel is part of a coordinated response to maritime emergencies) and it provides a blanket of protection for those at sea. We hope you will consider joining. Now, help us welcome the latest members.